From a modern suite overlooking metropolitan Bangkok to a spacious villa steps away from the waters of the Andaman Sea a stylishly rustic resort in Chiang Mai, the hottest and hippest properties in Thailand opening their doors in 2013 are all listed below. It’s easily one of the most exhaustive lists of four and five star properties online. The hotel industry is booming and unexpected delays come with the territory, so please keep in mind that hotels rarely open on the first published dates. 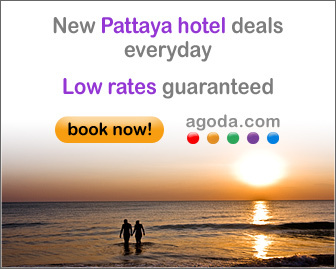 Keep checking NewThaiHotels.com for updates and the latest information. We’ll help you find the perfect hotel for a perfect Thai getaway. If you would like to add a hotel to this list please leave a comment below. GLOW Pattaya. – Q3 2013. Project cancelled. Possible opening at a different location in 2016. This entry was posted on Wednesday, January 16th, 2013 at 12:04 pm and is filed under Openings. You can follow any responses to this entry through the RSS 2.0 feed. You can leave a response, or trackback from your own site. Pretty flash looking website. I notice that there are no new hotels opening in Vacy this year. The Park Hyatt Bangkok is missing (opening 2014). Ah yes, I forgot to put it on the list. I did write about it last year though.